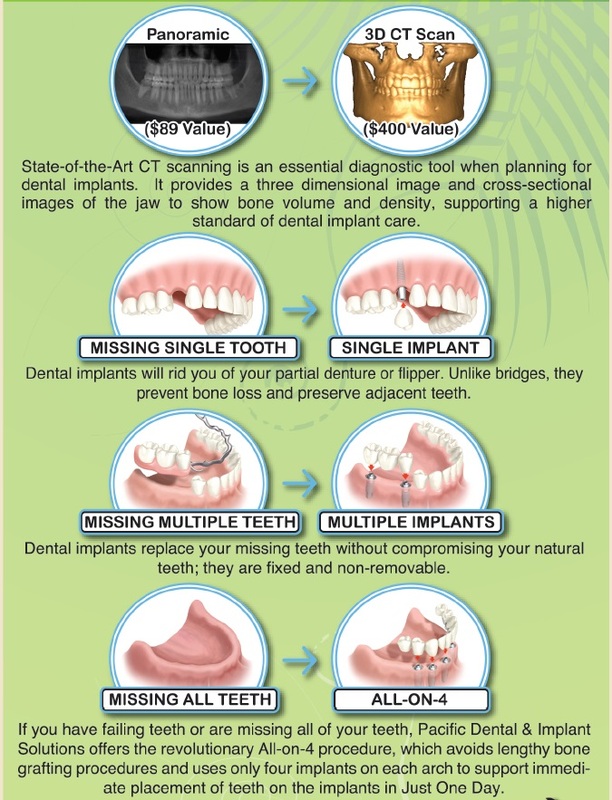 At Pacific Dental & Implant Solutions, we are proud to offer state-of-the-art implant dentistry. If you have failing or missing teeth, Dr. Asam will provide an in-depth FREE consultation with 3D CT Scan ($400 value free). Dr Asam will review all of your treatment options, including but not limited to dental implants. Our goal at Pacific Dental & Implant Solutions is to provide you with various solutions, so that you can find one that caters to your needs, goals, and financial situation.